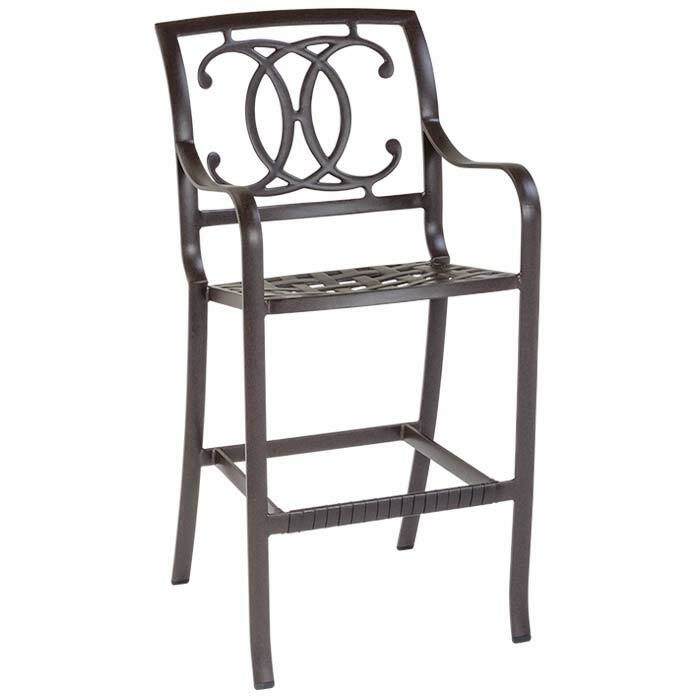 Evoking tradition, this Palladian Bar Stool with cast aluminum seat and Double-C Back motif offers both supreme comfort and understated elegance for your outdoor dining environment. Designed by John Caldwell, the Palladian Double-C Back Bar Stool is crafted from durable, high-quality aluminum for long-lasting enjoyment. Graceful, curved lines provide both appealing looks and comfort. This sturdy outdoor bar stool also coordinates well with other pieces from this outstanding Tropitone® Palladian Collection.